In the mid to late 1800's, opium was a fairly popular drug. Opium dens were scattered throughout what we know today as the wild west. The opium influx during this period was due in large part to the drug being brought into the country via Chinese immigrants who came here to work on the railroads. Accurate American history tells us that famous names of the period like Wild Bill Hickock and Kit Carson actually frequented opium dens more often than saloons. The stereo-typed picture we have of the cowhand belly up to the bar drinking whiskey straight after a long hard ride on the dusty trail is only part of the story of the old west. Oftentimes times the cowhand was not belly up to a bar at all. He was in a prone position in a dim candle-lit room smoking opium in the company of an oriental prostitute. It was not uncommon for some of these cowhands to spend several days and nights at a time in these dens in a constant dream-state, eventually becoming physically addicted to the drug. Nonetheless, it was true that alcoholism was a bigger problem. Alcoholism was one of the major sources of violence and death during this period. Eventually, however, opium was promoted as a cure for alcoholism by the late 1800's. 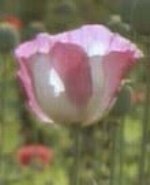 It was from opium that, morphine, a derivative, was developed as a pain killer in approximately 1810. It was considered a wonder drug because it eliminated severe pain associated with medical operations or traumatic injuries. It left the user in a completely numb euphoric dream-state. Because of the intense euphoric side effects, the drug in 1811 was named after the Greek god of dreams, Morpheus, by Dr. F.W.A. Serturner, a German pharmacist. By the mid 1850's morphine was available in the Untied States and became more and more popular with the medical profession. The benefits of using the drug to treat severe pain was considered nothing short of remarkable to doctors of the time. Unfortunately, the addictive properties of the drug, on the flip side, went virtually unnoticed until after the civil war. During the civil war the numbers of people exposed to morphine in the course of being treated for their war related injuries sky rocketed. Tens of thousands of northern and confederate soldiers became morphine addicts. In just over 10 years time from its arrival into this country the United States was plagued with a major morphine epidemic. Even though no actual statistics were kept on addiction at this time, the problem had grown to large enough proportions to raise serious concerns from the medical profession. Doctors became perplexed and were completely in the dark as to how to treat this new epidemic. By 1874 the answer to this increasing problem was thought to be found in the invention of a new drug in Germany. This new wonder drug was called Heroin, after its German trademarked name. Heroin was imported into the United States shortly after it was invented. The sales pitch that created an instant market to American doctors and their morphine addicted patients was that Heroin was a "safe, non addictive" substitute for morphine. Hence, the heroin addict was born and has been present in American culture ever since.